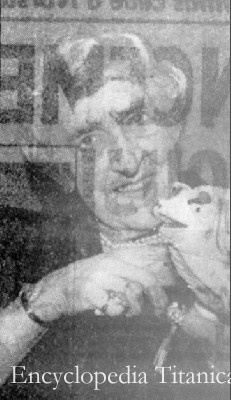 This picture of Titanic survivor Miss Edith Russell was published in the French paper 'Libération' on 18 April 1958. Unfortunately, the headlines at the back of the picture are so thick and the paper so thin that we can see them through the picture. Miss Russell is holding her Lucky Pig.